Established in 1999, Arctic Heat Products Pty Ltd is a privately owned company. The Board of Directors has appointed experts in their fields to manage the company. Arctic Heat provides a full range of cooling/heating products to meet every need. 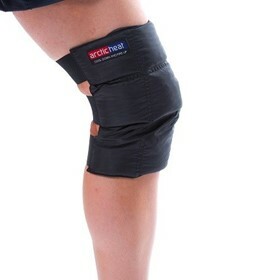 For sport, industry & medical, Arctic Heat provides comfort, performance and safety, with specialist designs and superior performance you are sure to find that Arctic Heat delivers. You've seen it a million times. Probably done it yourself thousands of times. Pushed yourself to the limit. Worked till the sweat was pouring off you and your heart was thumping through your chest. You strain as you can feel your muscles fatiguing. Veins swell up with every effort. Your thirsty and hot. It's hard, hard work. 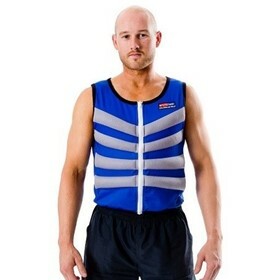 Arctic Heat Cooling Vests will give you an advantage. A cooler body means less sweating. Less sweating means more fluid to enable top class performance. Cooling the body will send that blood back to the muscles where you need it. You're stronger for longer. With the unique Sportwool inner, any sweat is quickly removed - keep you cool and dry so you can perform at your best.